All Morristown homes currently listed for sale in Morristown as of 04/24/2019 are shown below. You can change the search criteria at any time by pressing the 'Change Search' button below. If you have any questions or you would like more information about any Morristown homes for sale or other Morristown real estate, please contact us and one of our knowledgeable Morristown REALTORS® would be pleased to assist you. "Stunning four bedroom, four and a half bathroom home sitting on 9.062 acres with VIEWS VIEWS VIEWS and no HOA! There is an adjacent 2.303 acres included in the sale as well. Enter the home filled with large tiled flooring, neutral paint throughout, and recessed lighting. The kitchen is setup perfectly for entertaining with an abundance of rich wood cabinetry, large kitchen island, bar top, stacked ovens, induction cook top stove, and plenty of space!! Three gas fire places throughout the home c"
"Own a Piece of Arizona History! 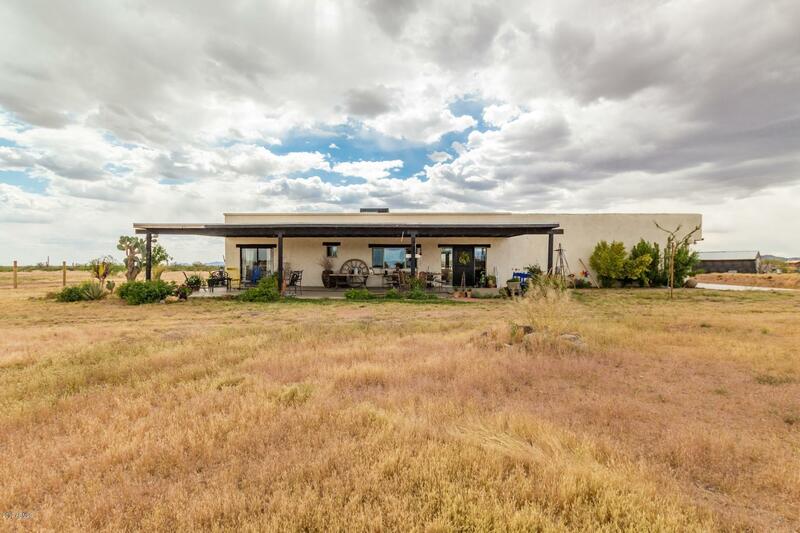 68+ acre working Ranch, completely renovated main home with tons of Rustic Charm! 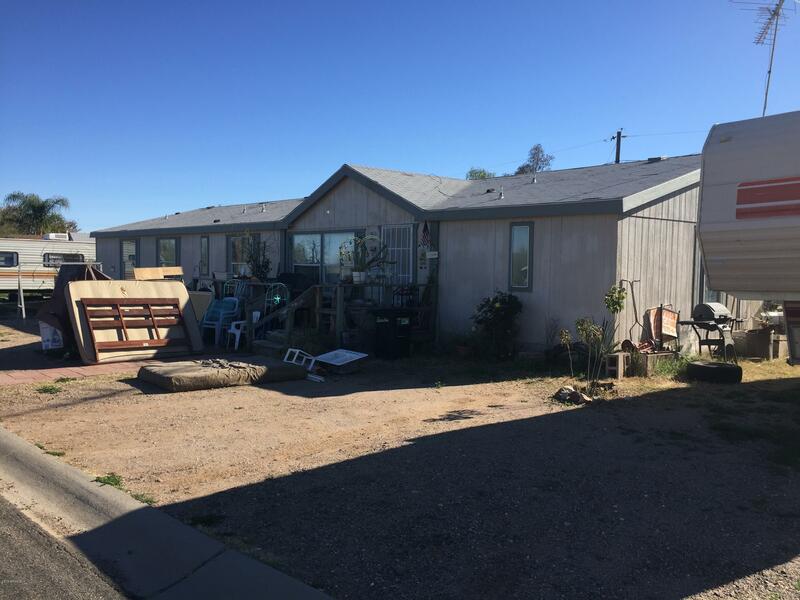 This ranch has also a 1500 sq/ft move in ready manufactured home, 20' x 10' workshop and detached carport, two large covered. storage for equipment, corrals for livestock/horses, 5.3 acres of fenced pasture with sprinklers. Don't miss out on the one of a kind ranch, perfect for all your livestock needs, or divide and build! The potential is endless!!!" 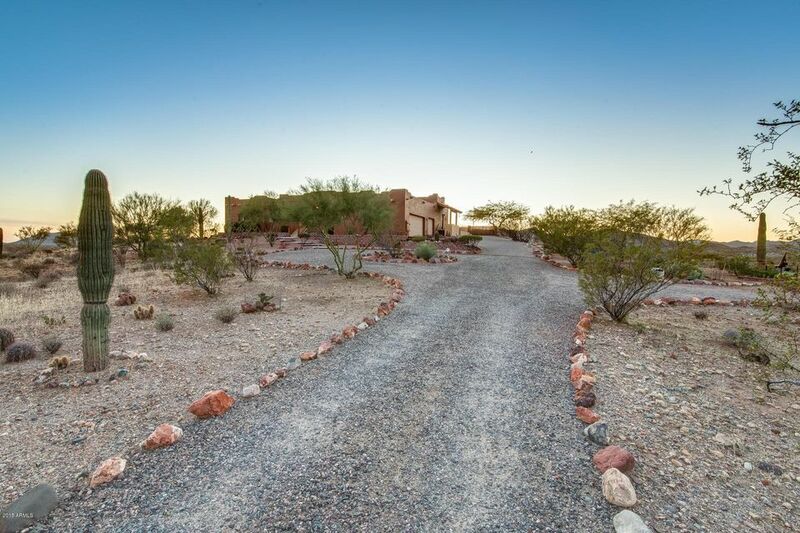 "Perfectly amazing Territorial style home sitting in the beautiful & scenic Morristown desert. This home sits on 8+/- acres, PERFECT FOR ALL OF YOUR HORSES! (made up of 4 parcels) Spacious & open w/ a fabulous kitchen. 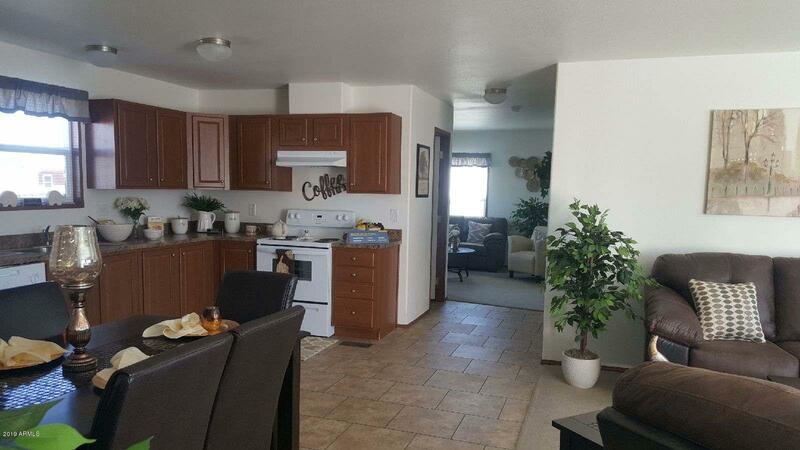 Granite, beautiful cabinetry, light filled dining area, stainless appliances. The great room is warm & inviting w/ fantastic views. Split floor plan features spacious master w/ large walk-in closet, big beautiful master bathroom. Glass block shower, large garden tub, DBL sin"
"A huge price reduction! 2009 custom built,6259 Sq foot home! Plenty of room for family and friends. SIP walls or ''Structurally Insulated Panels'' with Jeld-Wen energy efficient double paned windows.The roof is insulated with 6'' of sprayed on foam.The main electrical panel is a true 400 AMP that is plumbed for solar.There are three air conditioners, 2-5 tons and 1- 2.5 ton upstairs. 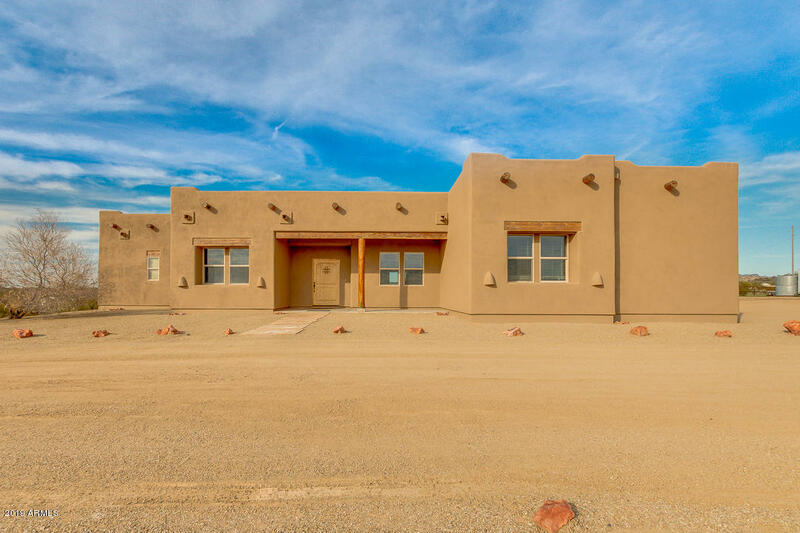 Private well and pond with traditional septic system.2 Master suites.The master bedroom upstairs has a balcony fo"
"You have to check out this incredible Santa Fe style home! Boasting formal dining room, great room with cozy fireplace & beamed ceiling, tons of natural light, 4 bed, 2.5 bath, and neutral paint through the entire house. Chef's delight kitchen is outfitted with granite countertops, center island, black appliances, pantry, mosaic back-splash, and plenty of cabinets. 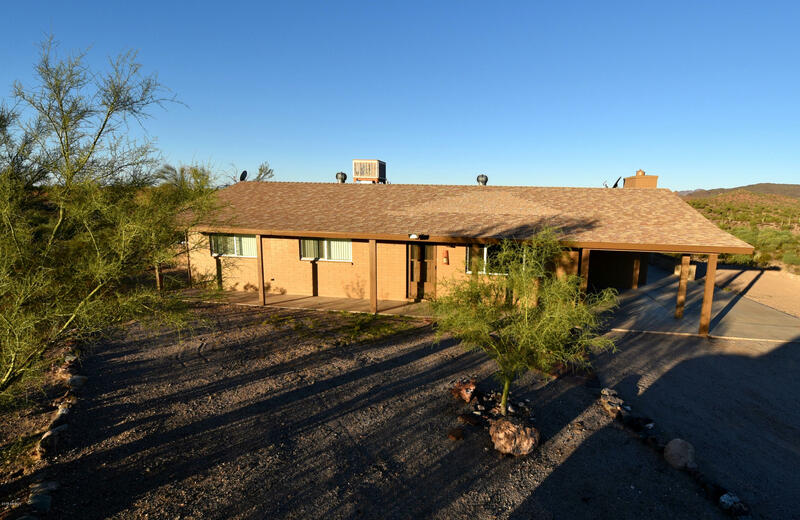 Amazing master retreat offers sitting/gym room, private exit, large walk-in closet, and lavish bath w/his & her sinks, jetted tub, "
"Your desert oasis awaits. 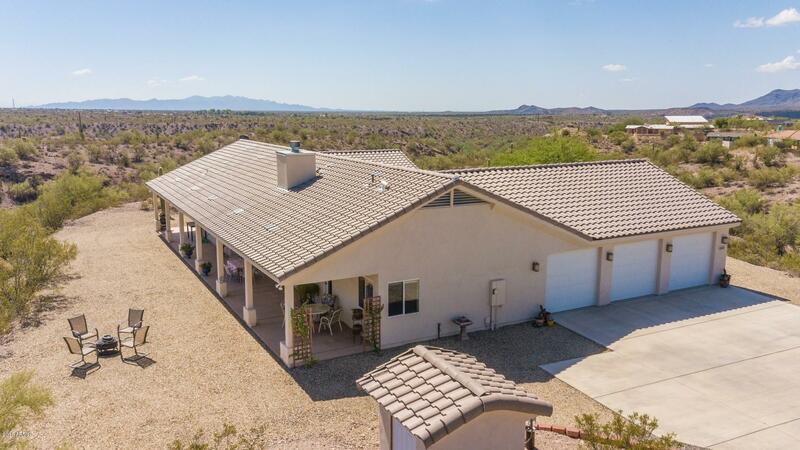 This beautiful home located on 5 acres abuts BLM land with amazing desert views. Custom built and designed by the owner. The home offers a gourmet kitchen with top end stainless steel appliances, Large granite kitchen island, hard wood cabinets, built in wet bar, large walk in pantry. There is a built in secretary desk with matching cabinets. Large living room with gas fireplace and built in entertainment center. 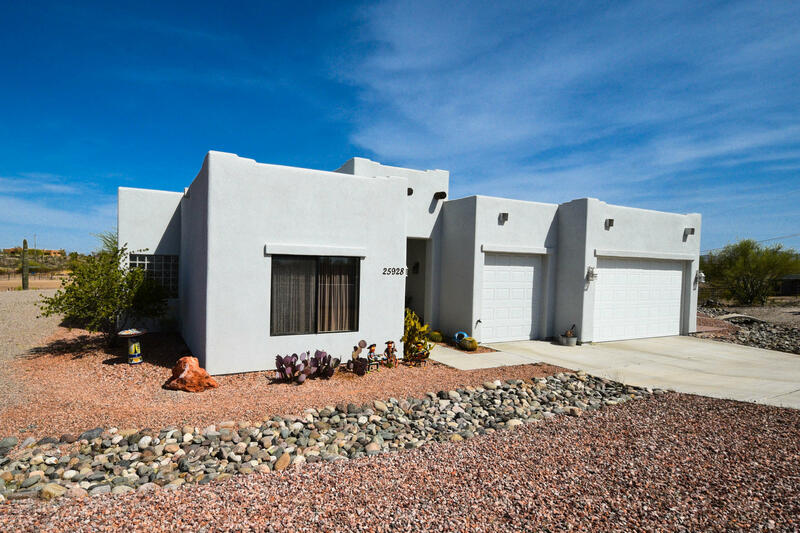 Enjoy entertaining on the large covered patios with built"
"Perfectly amazing Territorial style home sitting in the beautiful & scenic Morristown desert. This home sits on 1+ acre. HORSES WELCOME! Open & spacious floor plan with a beautiful kitchen, granite, gorgeous cabinetry, light filled dining area, stainless appliances. The great room is warm & inviting w/ amazing views. Split floor plan features spacious master w/ large walk-in closet, big beautiful master bathroom. Glass block shower, large garden tub, DBL sinks, wonderful retreat. This pr"
"Check out this perfect horse property with amazing views!! Plenty of room for your horses and friends! 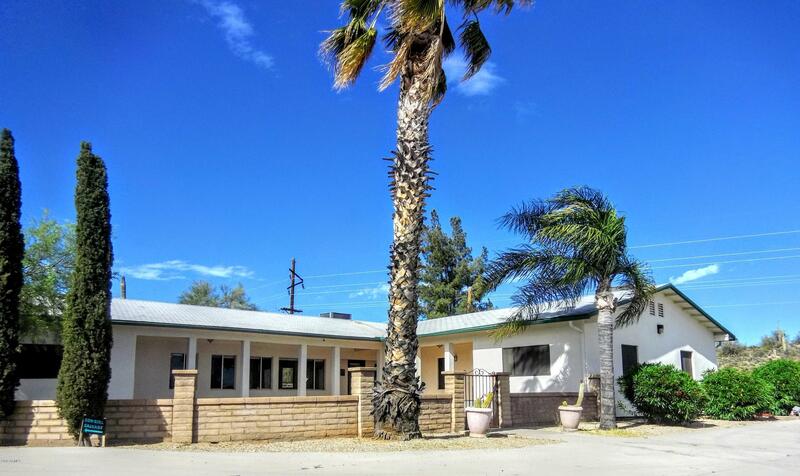 The home has been totally updated with granite counter tops and new appliances. It is a split floor plan with two master suites and an open concept perfect for entertaining. Plus with your own pool, your house will be the go to summer BBQ spot! 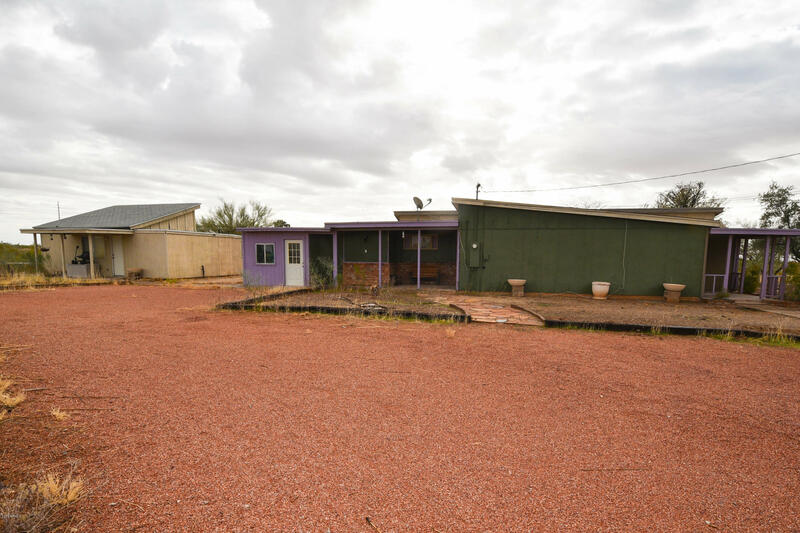 This property also has income producing potential with a studio apartment, two RV spots and a pool house that can be rented out. It's easy to get your "
"Possible 3, or 4 bedroom. Original plan was a 4 bedroom. 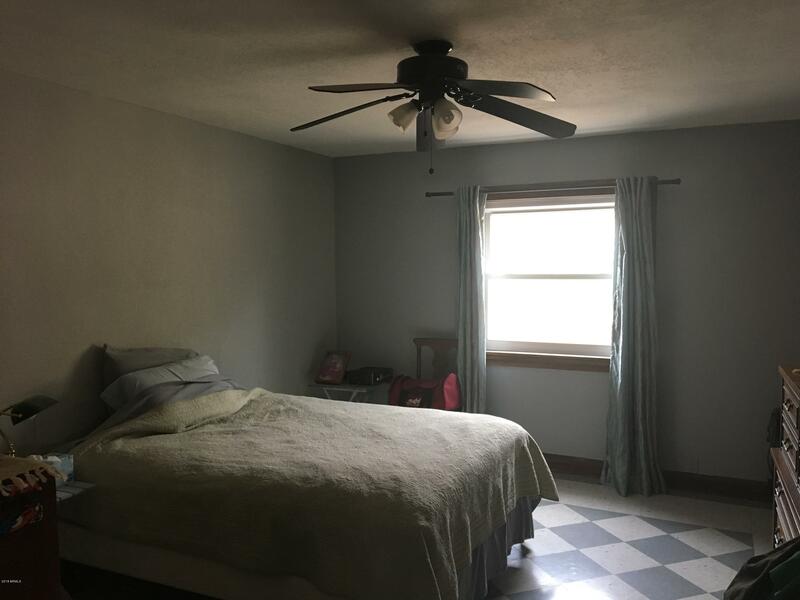 Owner/builder put in all electrical/ductwork for additional bedrooms. All that is needed would be to add the partitions and minor electrical. SOLAR. OWNED!!! 9000 watt system. $20.00 a month APS bill (taxes). Highly upgraded custom home. Vega poles and natural wood doors, blinds and tile throughout. Gourmet kitchen w/built in coffee maker, 36 in. 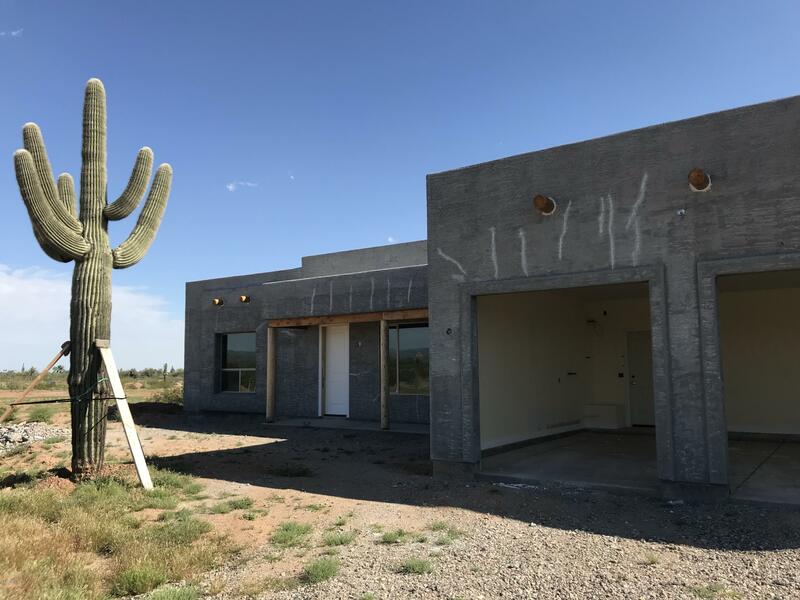 wide stove, granite countertops, island & huge pantry, Oversized master bedroom w/2 mast"
"Almost finished custom home on over an acre in great location just off Grand Ave minutes to Wickenburg and Surprise. Loaded withupgrades! 3 car garage 4 bed 2 bath Split floor planGE Upgraded Appliance Pkg, Combination Micro / Convection Oven, Zline Commercial Grade Stove Hood, Granite Counter Tops, Light Rail,Under Cabinet Lighting, Recessed Shielded Can Lighting, Crown Molding, Full Cabinet Back-splash, Osmosis Feed to Refrigerator, JefferyAlexander Cabinet Pulls, 10' Ceiling in great room." 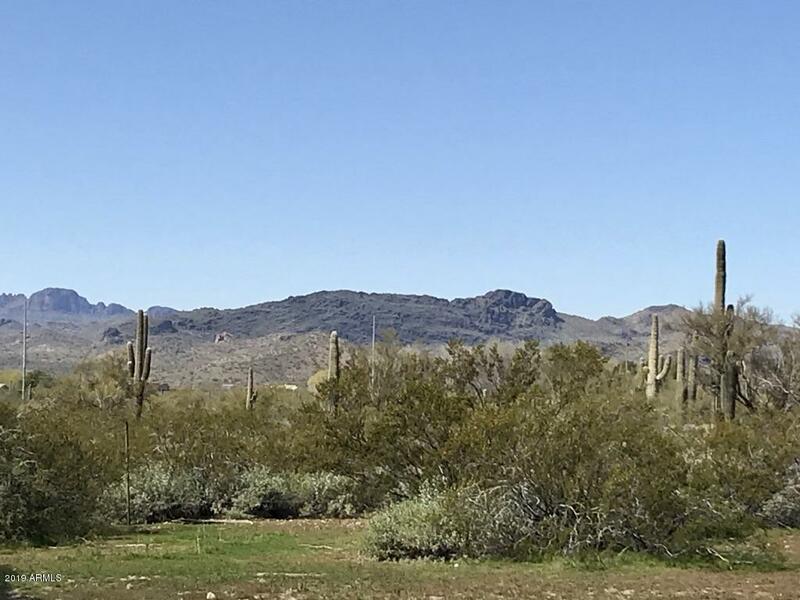 "This 12.6 acres about 5 miles from downtown Wickenburg includes parcels 503-06-007B and 503-06-030A and is in the Wickenburg Scenic Corridor. There is C-2 zoning abutting Hwy 60/89 with the remainder R-5 zoning with Assessor Zoning Code MH. 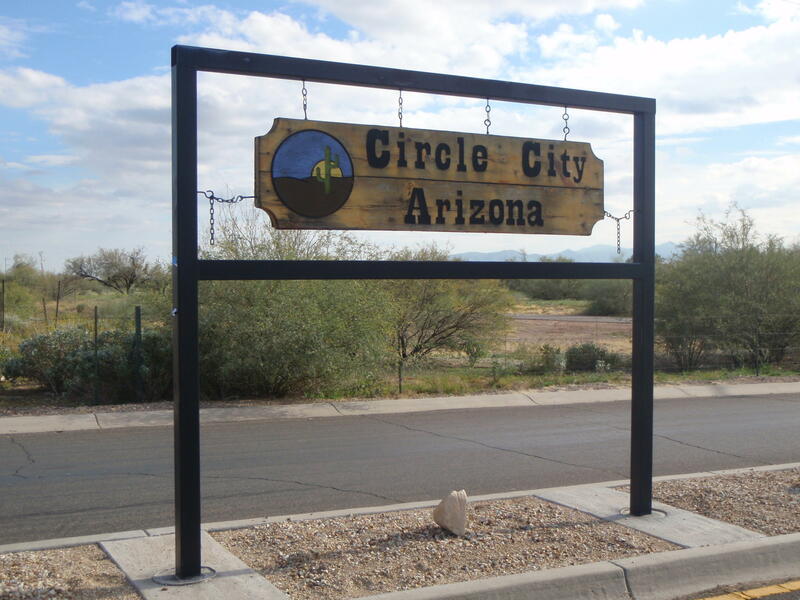 Maricopa County said R-5 zoning allows for C-1 commercial (low impact) and allows for single family homes. There is approximately 630 feet of frontage along Hwy 60/89. This sale includes the commercial building (approximately 500 sq ft), a 2013 sq ft 2 bedroo"
"Horse property with stunning mountain views! 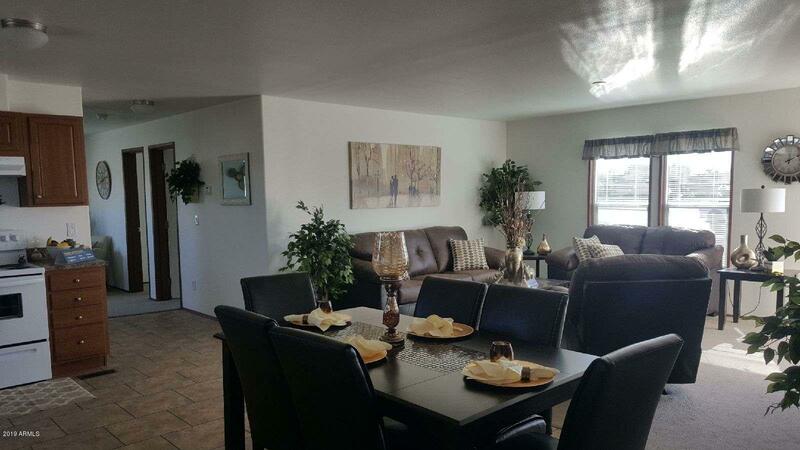 This home has been completely renovated with wall to wall finishes giving a true rustic feel! Wood flooring plan, and exposed brick, spacious great room, and great entertaining space. Sharp white cabintry,white quartz counter top, stainless steel appliances, breakfast bar and an eat-in kitchen. The enchanting master suite includes room for a sitting chair and ,each guest room, a private exit to the back patio and full ensuite. Enjoy the beauty of Moth"
"BELOW APPRAISAL! Just Reduced $15,000! One of a kind! 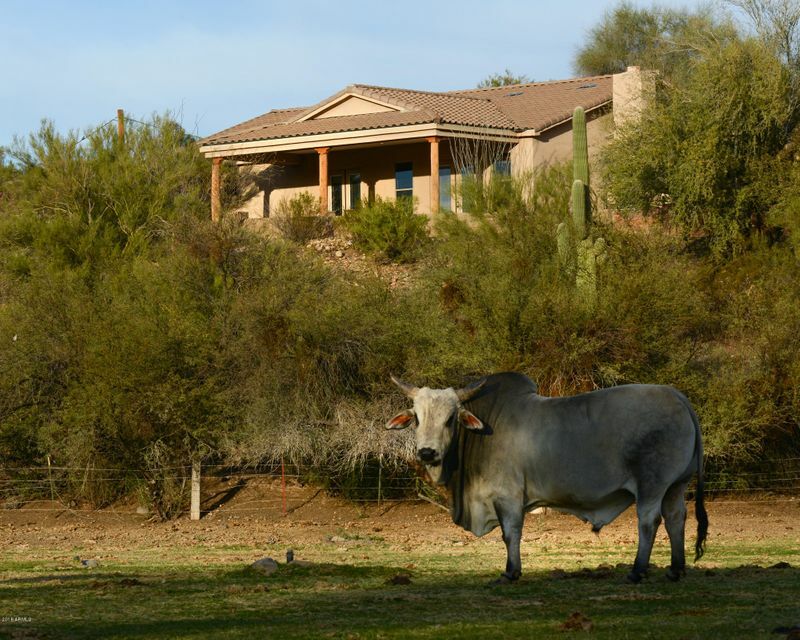 Sits high on a hill with spectacular 360 views of the mountains & natural desert terrain. 100% private, peaceful & serene. Well maintained home with neutral rustic decor. 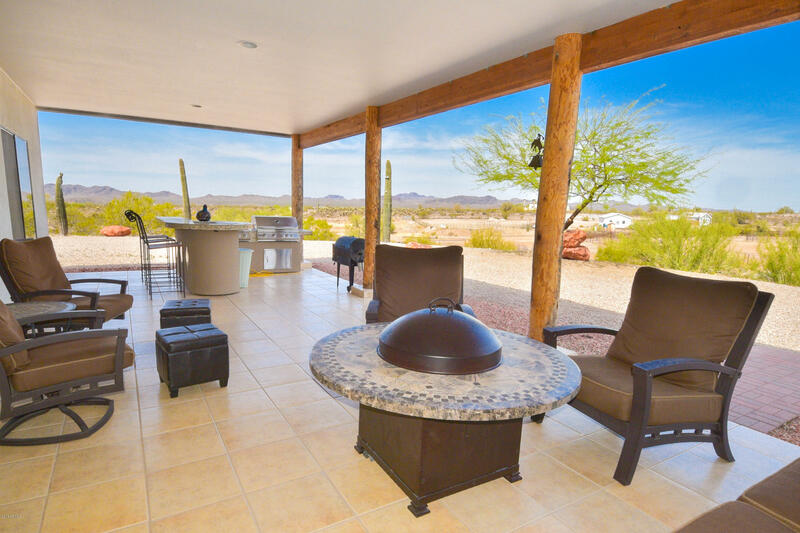 The perfect split floor plan is open & comfortable featuring vaulted great room w/pot shelves & spectacular desert views. Kitchen offers your choice of gas or electric stove w/pantry & spacious eat-in nook. Plantation shutters throughout the home. 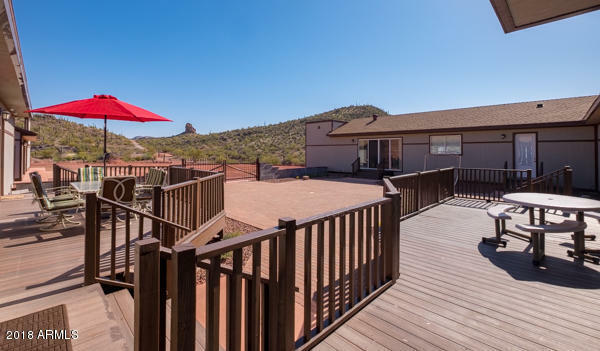 Spacious master retreat has"
"This home is priced to sell with breathtaking 360 mountain views and flat land for your horses and room for an arena. Plus this 2.5 acre property backs up to BLM land! The kitchen has been completely remodeled with top of the line stainless steel appliances. Also, new doors, fixtures and other updates throughout while keeping the original charm of this home. Home also features attached carport, detached garage, shop and a PRIVATE WELL. 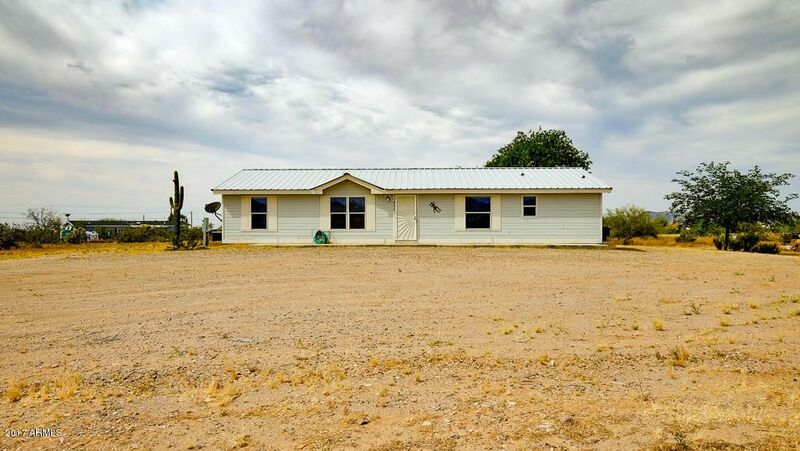 Wonderful open layout with covered front and back porches, p"
"Quaint 3 bedroom 2 bath manufactured home in desirable location 10 miles from Wickenburg, sits on 1.6 acres, 5 covered horse pens w/sand fill, along with over sized garage, very livable floor plan open kitchen with a center island. Master suite, luxury bath is inviting w/separate tub/shower & double sinks. Inside laundry washer dryer to convey. Wrought iron block fencing allowing for little critters & amazing views of the mountains & saguaros. Move in ready easy maintenance horse property. Furni"
"Great Views of Bradshaw mountains!!! 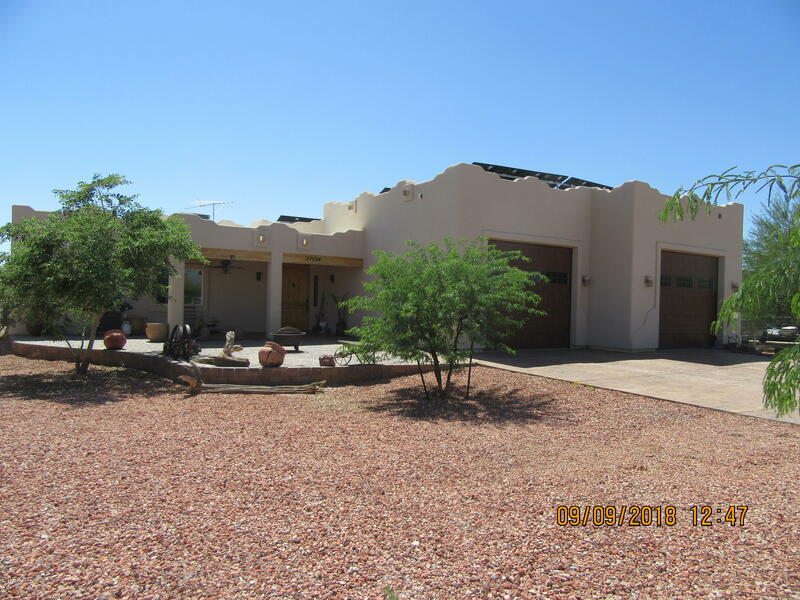 4 acres fenced, mesquite tress, 3 bedrooms 2 baths. Approx 12 miles north of lake Pleasant. Well and APS electricThis maybe the next Cave Cree/CarefreePeoria approved RV resort and Hotel at the lakeTroon development is putting Condos on the water." "Fantastic views! 2.5 Acre parcel with a well cared for manufactured home. Plenty of room for for an arena, stalls, garage, and all the toys. Inside you will find a split floor plan layout with new carpet. It has a huge kitchen with an island. The master bedroom has a second room attached that can be an office, hobby room, or even converted into a 4th bedroom. Quality Shultz 2X6 construction. All of this under a durable metal roof. Outback is a nice fenced yard with a huge pergola. You are only "
"Wow check out this horse property on just under 3 acres and bordering miles and miles of state land!! Property is flat and private w/mature trees, storage sheds, RV hook up/area and guest house! 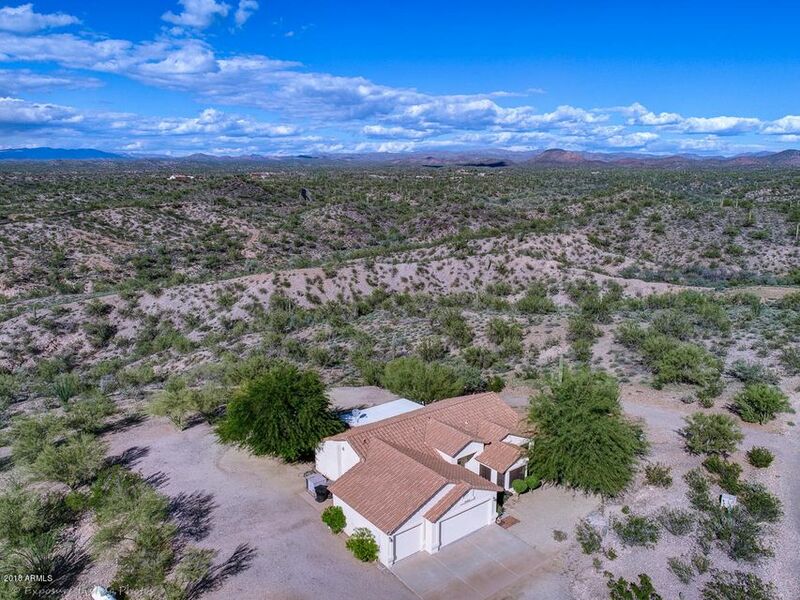 Mountain views and only 13 miles from downtown Wickenburg! Come take a look today!" "PRICED TO SELL! NEW 2019 3BR/2BA CLAYTON MANUFACTURED HOME ''ARIZONA'' MODEL WITH 1380 SF. OPEN FLOOR PLAN AND COMFORTABLE LAYOUT. UPGRADED CARPET, 2 X 6 CONSTRUCTION, AND ABOVE GROUND VINYL SKIRTING WITH FIBERGLASS STAIRS. GARBAGE DISPOSAL AND REFRIGERATOR INCLUDED. 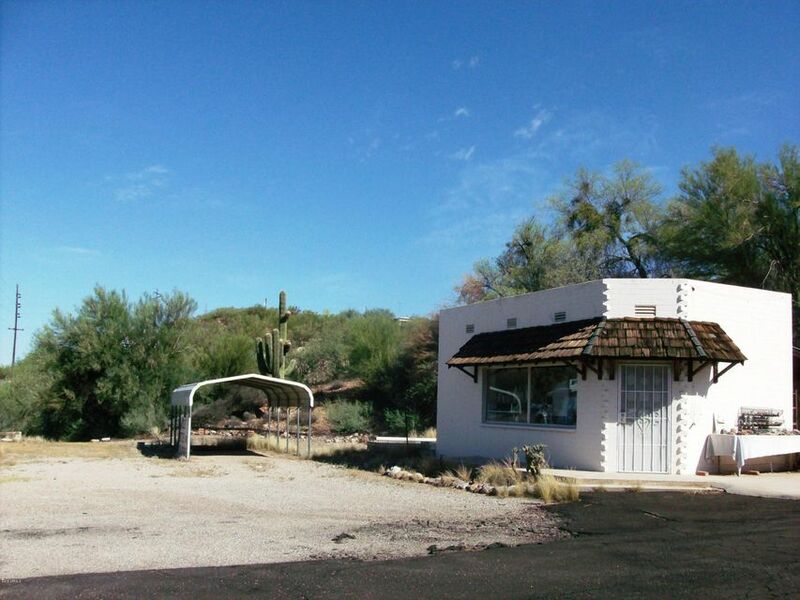 PRIVATE FRANCHISE WATER, AND CONVENIENT LOCATION JUST OFF OF US 60/GRAND AVE. *UP TO $4,000 TOWARDS BUYER'S CLOSING COSTS INCLUDED *PROPERTY TAX AMOUNTS ARE BASED ON ESTIMATES*PHOTOS OF SIMILAR UPGRADED HOME, ACTUAL PROPERTY MAY "
"2400 Sq Ft 4bed/2bath - This home features an open floor plan. Large lot with RV Parking. Priced for quick sale. Make an offer today."